Great post on what can be a difficult task. Thank you Nicholas C. Rossis for sharing it. Naming your Characters the Easy Way. 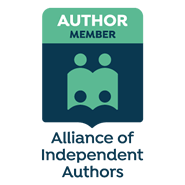 This entry was posted in authors, Blogging, books, emerging authors, Writers Resource, writing tips and tagged authors, Fiction, indie authors, news for writers, writing inspiration. Bookmark the permalink.